Unless I was working strictly creative (writing, coloring etc), the thought of working in a glass box just isn’t appealing to me these days. Part of it is my entrepreneurial spirit, the other part is that I actually worked at Wizard Magazine for a good 5 years and departed right before the bottom started to collapse, so I knew first hand what it’s like to be near something you want so bad and not quite actually have it. But in the back of my mind, working in and around comics just isn’t the same as working ON comics for me. Which is why the notion of the glass box comes to mind. You can look but can’t touch. And in the end, whether good or bad, right or wrong, every decision I’ve made has been with that notion in mind. Wanna know what it’s like to work for the Big Two? What about taking the plunge to help START your own comic book company? 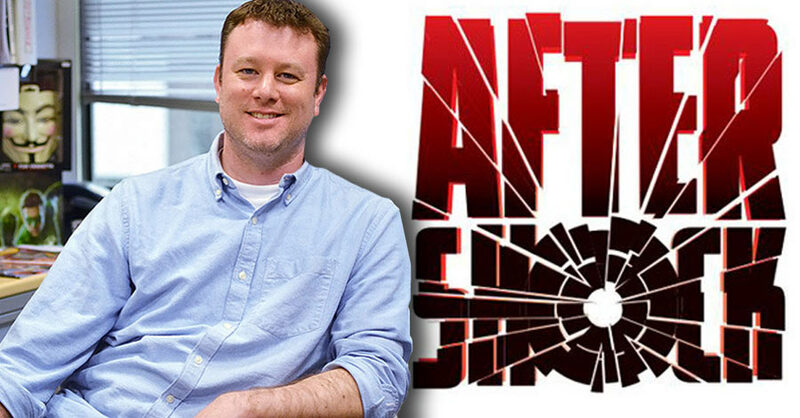 Our guest, editor Mike Marts, can clue us in on both as he’s walked both worlds as Executive Editor for the X-Men and Batman lines and has branched out with upstart After Shock Comics. Get your questions in below and we’ll ask them Friday 11am EST on Talking Alternative. Or log into my Periscope handle @Michael_Dolce to live stream and chat with us then. Catch up on previous shows! Download our podcast on iTunes!